Such a nice shot and colors are great! Voted! Gorgeous Capture Mim, I like it! It looks like that one guy is hiding behind the tree! Cute! 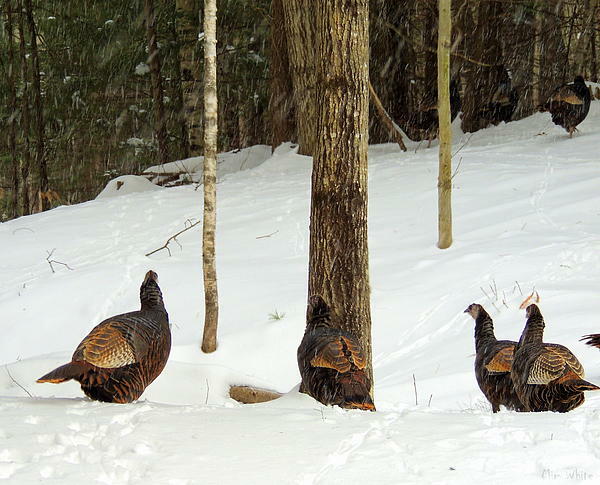 Very cool capture - great seeing them out in the wild and these look very beautiful against that snow! One of my favorite birds! 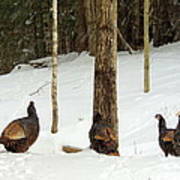 Wild Turkeys in the woods of NH. 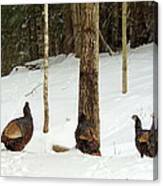 They certainly can blend in.